On the occasion of “Turin Auto Show”, Altran Italia will open the doors of its Design Center: more than 1.200 sqm dedicated to innovation through new technologies of visualization. The design projects are realized by the creative minds of Altran Italia for the most famous automotive brands. Visitors will be able to experience Virtual Reality in the main room, that offers U-HD 4k images on a glass screen with a width of 6 meters and a height of 3 meters. It will be possible to interact with complex systems models through a high level of photorealism. The visit will continue with the Immersive Reality: a state-of-the-art helmet will carry the visitors on an automobile. The itinerary will be completed with some demonstrations of Augmented Reality thanks to the modern devices and solutions developed by Altran. Participants will be divided into visit shifts (40 mins each). A week before the event, Altran Italia organization offices will communicate to each participant the time of their shift by email. The admission to the event is free, but an ID is required. 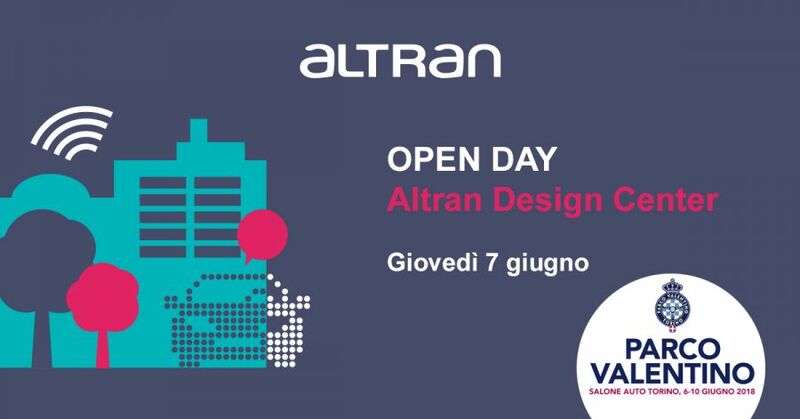 Places are limited and then it is necessary to subscribe to the event by sending an email within June 1st at eventi.altran.italy@altran.com, writing in the object "Open Day all’Altran Design Center”.